Michael’s love of anything related to the University of Michigan, especially Michigan sports was no secret to all who knew him. He was TRUE BLUE when it came to Michigan displaying his loyalty through a full wardrobe of Maize and Blue, a walking resource of Wolverine sports facts and of course breaking out in “Hail to the Victors” at any given moment. While he had been to Ann Arbor with his dad and brothers, he had not seen a game in the Big House which was one of his dreams. 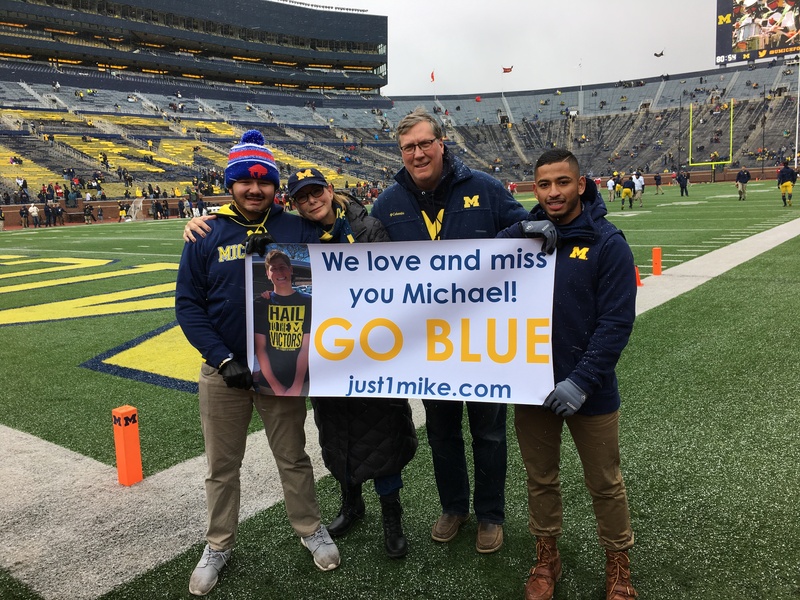 When Michael’s story was shared with both players and coaches at the University of Michigan, this dream became the motivation to honor Michael, inside the Big House on November 19th. Thank you Anna Schueler and your wonderful family as well as Henry Poggi for telling Coach Harbaugh about Michael’s passion for Michigan football. And many thanks to Coach Jim Harbaugh for inviting our family to the last home game and to J.T. Rogan who made sure we had sideline passes for pregame warmups and great seats to watch all the action. It was such an emotional, important and very memorable day for our family. Michael, your family made several trips to another one of your favorite places that day, the M Den and we proudly wore our Maize and Blue for you that day. Although a little too close for comfort, the game did not disappoint and definitely kept us on our feet. The Wolverines won the game in a snow storm that completely covered the field. A great day for the team and especially for the seniors. 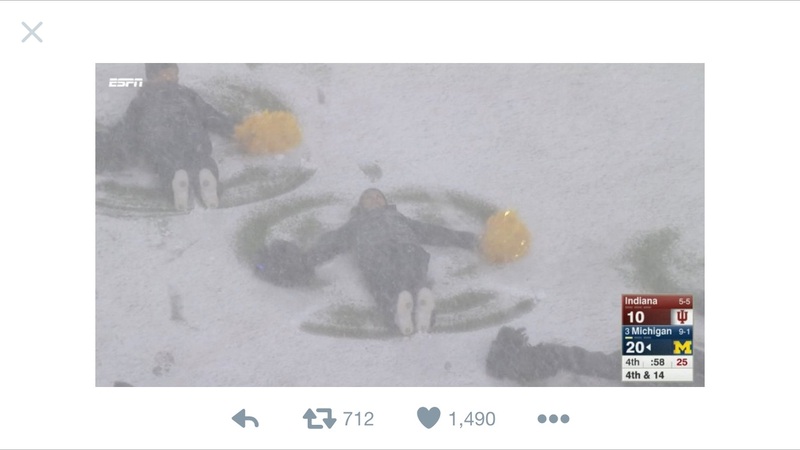 A remarkable day for us as the Michigan cheerleaders ran out on the field and made snow angels. Angels…we could only think of you Michael, our heavenly angel. The Big House is probably all that you imagined Michael plus more. There’s not a doubt in our minds that you were taking it all in with us. 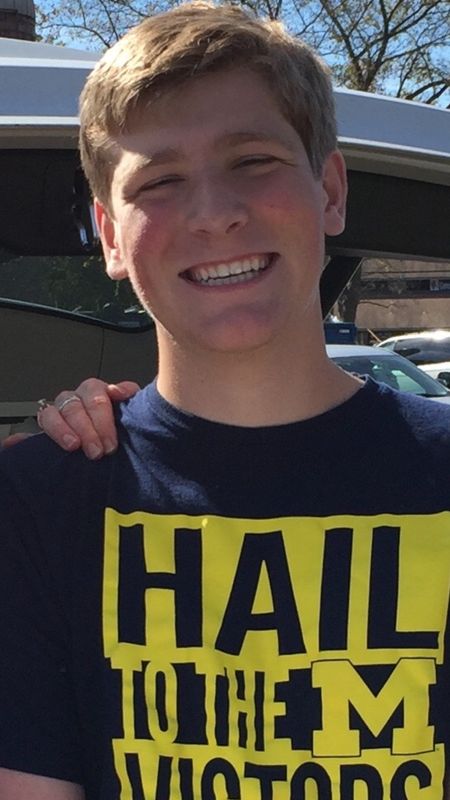 Loving you FOREVER and rooting for your team…..GO BLUE!